Dry: 865 lbs, Wet: 5,065 lbs. 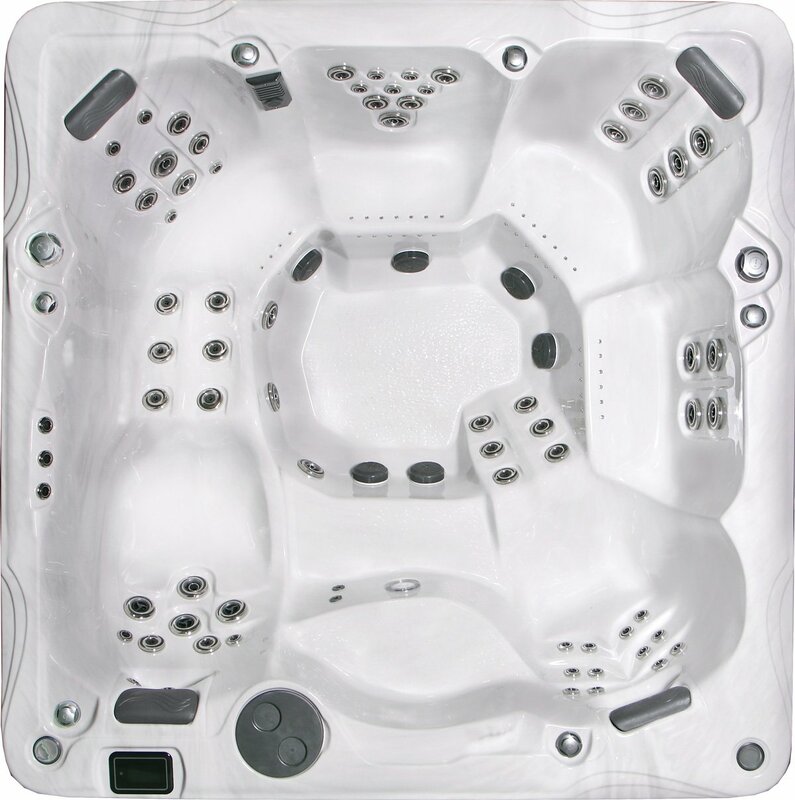 A large design with seating for six and a long list of standard luxury features, the Fiji luxury hot tub is a wonderfully relaxing way to enhance your home as well as your health. Measuring 94" on all sides, the Fiji was specifically designed to provide ample space and a host of luxury and comfort features. Its six seats include three contoured bucket seats, one lounge, one captain's chair and an open bucket seat; perfectly suitable for groups, couples or individuals. From the digital control center, you and your very lucky guests can power on the Fiji's strategically designed orchestra of 115 jets. This includes a total of 71 hydrotherapy jets in addition to 44 dedicated air'assage™ jets for soothing circulating relief. Step in, get comfortable, and experience the difference that PDC Spas brings to every hot tub. 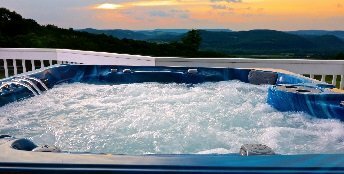 Like all Luxury series hot tubs from PDC Spas the Fiji comes with an impressive list of standard upgrades. Enhance your experience by adding SoundStream™ to stream music from any Bluetooth® enabled device or shed new light on your experience with the Allure2™ premium hot tub light upgrade.